HorrorChannel has a reasonable record for crap Bgrades, and my trusty freesat recording helps. Or at least enables. 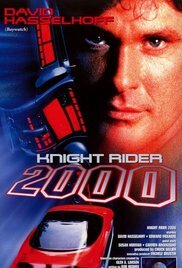 So Knight Rider 2000 . It's unbelievably bad, really really bad. But at the same time, in true car crash fashion, can't stop watching. And the guest stars are worth it. Script is dire, acting even worse, and I feel for Mitch Pileggi. Rogue cop, thinks the department is corrupt, and moves to Knight Industries. Things potter along. Kitt gets moved into a newer car. Half of the cabal reformed to drink whisky, this time in London for a Glenrothes tasting run by The Whisky Exchange, and hosted by Brand Heritage Director and Whisky Expert Ronnie Cox. I'm quoting from the tasting sheet. Ronnie is excellent value, good patter and one might suggest, a natural raconteur. My notes include NMS, or Needs More Sherry. Didn't think much of this one, not much happening, even tho' the nose was great. Palate: warm, but oddly bland, hint of figs? Didn't live up to the nose. Glenrothes have a pretty light style, and I've always rated them as a quaffing whisky (this is not a bad thing), I'd like to find a cask strength and see what happens in those.